Kids as young as three are being treated for pain caused by overuse of mobile devices – and the potential long-term health effects are even more alarming, experts warn. 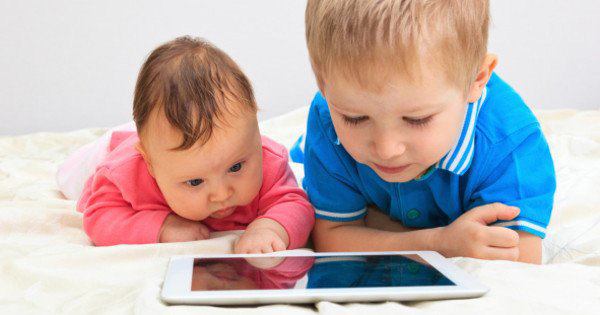 Osteopaths and chiropractors are increasingly seeing children in their practices with “iPosture syndrome”, a relatively new complaint linked to devices such as smartphones and tablets. Worryingly, it may even cut short the lifespan of this generation of children. Osteopathy Australia‘s Dr Nahla Khraim has been in practice for 23 years and is seeing “more and more” parents bring in children for treatment. Melbourne-based chiropractor Dr Leigh Sheldrick says iPosture refers to the forward head posture kids develop from spending too long hunched over electronic devices. “For every two to three centimetres our head is sitting forward of our shoulders the weight of the head increases by 4.5kg, forcing the muscles of the upper back and neck to work much harder,” she explains. She says recent Dutch studies found the damage of screen time on kids’ spines is equivalent to that caused by child labour in the 1800s – which may explain why she sees kids as young as five “stooping like a 60-year-old”. Dr Khraim says use of electronic devices needs to be monitored and parents need to encourage children to move when using them. “They are great things and they have helped our lives in so many ways, but everything in moderation,” she says. “For very young children, no more than half an hour at a time – that’s for three or four years,” she says. “Half an hour goes so quickly and they’re still there two hours later. Kids in that time used to be running in the park and increasing muscles. Children need to move when using the devices, go to the park, play team sports, do general physical activity,” she says. Eighteen months ago, Dr Sheldrick teamed up with a friend and fellow mum, Tania Beattie, to create children’s contour pillows to combat iPosture syndrome. Their business, Ollie Owl, has since sold more than 3500 pillows. “We didn’t realise what the demand would be for these pillows,” Dr Sheldrick says. They have also created iPosture syndrome stretch charts that parents can download from their website for free and put in a prominent place to remind children to take a screen break. They feature simple, age-appropriate exercises for children aged two and up. “It gets kids at a really young age to start thinking about looking after their bodies,” she says.